The young and ambitious band from Brno is reaching hard for their dream and heading to international stages. In the last 5 years the band has played more than 300 concerts and performed at leading festivals both domestically and internationally. A particular hobby of those ordinary boys became their everyday reality. Half of the band is street-wise by hard work and sweat. The other half on the contrary is used to cold anonymous big city streets. 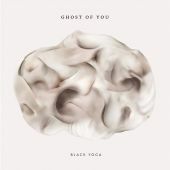 Ghost of You creates a perfectly unified combination of two seemingly opposite worlds. Formerly an experimental project that originated during the summer of 2012 gradually shaped with the time. In 2015 Ghost of You came up with their first single Deerhunter from their debut album. Thanks to the strong fan base the band introduced themself at the legendary Sziget festival alongside Foals and Kings of Leon and became the youngest Czech band in its history. 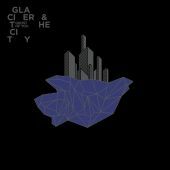 The debut album called Glacier And The City (Indies Scope, 2015) was characterized by gentle singing, melancholy melodies and uncompromisingly broken rhythm; a recording full of courageously mastered psychedelic pop was created under the baton of Ondřej Ježek. It did not take long and the events took off and their popularity quickly increased. Ghost of You ended their debut album tour with a crowded festival season, performing at all major stages in our country and in neighbouring ones (Colours of Ostrava, Metronome, MFF Karlovy Vary, Rock for People, Grape, Donauinselfest or Romanian Banat). Their foreign efforts continued with a concert tour in England and the Bush festival in Hungary. The expert jury subsequently selected them to participate in the prestigious Dutch showcase festival Eurosonic. Precisely prepared a concert shows were also performed at the Slovak festival Pohoda and at Waves Vienna, where they played some of their best performances so far.